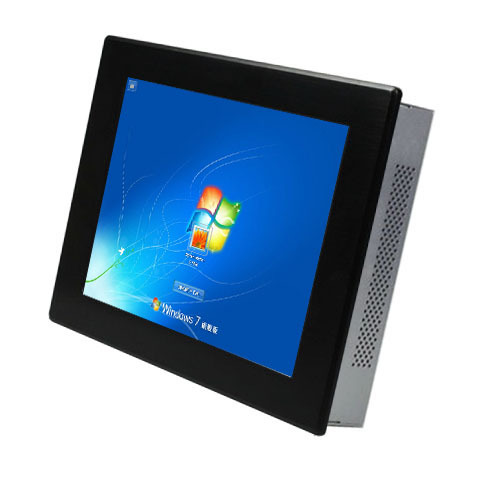 Anxin industrial panel pc with touch screen and update to Atom dual-core D525 1.8G CPU. Anxin industrial panel pc with touch screen and update to Atom dual-core D525 1.8G CPU. Note: The Atom N270, P series Panel PC are no longer to provide. Touch screen, 8~19" LCD, panel computer with high performances are for industrial automation applications, Intel Atom D525 dual-core processor 1.8G CPU, DDR3 1G RAM, 2.5" 250G SATA HDD, 5*COM(3*RS232, 2*RS232/422/485), 1*PS/2, 1*VGA, 1*LPT, 4*USB, 2*GLAN, 1*Audio. IPC-15 is a 15" LCD touch computer with D525 dual-core processor 1.8G CPU and rugged struture for industrial automation. The touch computer has been installed a stability embedded OS, such as Windows CE, WindowsXPE, Windows XP, Windows 2k, or Linux, so you can directly use it in automation projects and industrial applications. Holl as a industrial computer manufacturer and with its own factory, provides 8"~19" LCD panel PC, which can be fixed different CPUs: N455(N series Panel PC) and D525 dual-core(DF series Panel PC). Welcome to order. The I/O & functions customization and OEM are available.